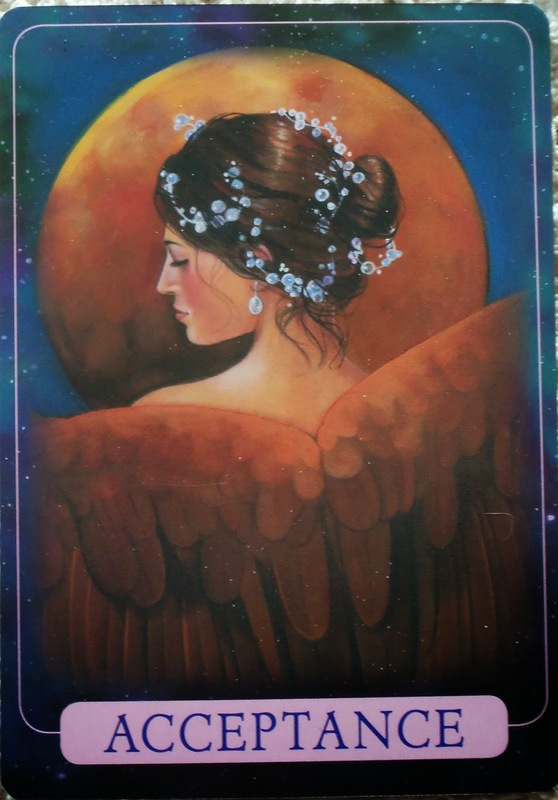 Card of the Day ~Acceptance~ Archangel Raphael is helping you find peace within an unsettling situation, so he sends you this card. Acceptance doesn’t mean that you desire or like what’s going on, but it does mean that you’re willing to come to peace with it. God and the angles hear your prayers for a healing resolution. They’re now asking you to surrender the entire situation to them through the process of acceptance. This is similar to “going with the flow” and trusting that everything is working out exactly as it’s supposed to. This isn’t a time to resist or force anything. Speak your mind openly and honestly; yet at the same time, find that balance of grace and acceptance. Often there are times in our life that things do happen that we don’t like but there are hidden messages in these situations. Look for the lessons within and accept them with gratitude. It’s much easier to accept something with gratitude than it is to fight it all the way. I pray you have a glorious day. I love you all!